I came across this free fragrance sample offer courtesy of HUGO Boss and am happy to share this on my blog. Usually, free fragrance samples are for women but this one is available for men too. 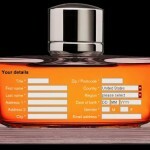 To select the fragrance sample that that you would like to request for, just select from the drop down menu on the side menu. 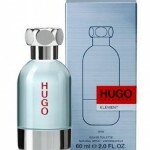 The available samples for men are HUGO Men and HUGO Element while the sample available for women is HUGO Deep Red. This freebie sample is available internationally but not available to all countries. You can check from the drop down menu under countries. Anyway, do leave a comment here to let us know if you have received this sample. This entry was posted in Samples and tagged fragrance, fragrance sample, free fragrance sample, HUGO, HUGO Boss on January 10, 2010 by Cyberpartygal. Thank you for the tip. This should be an upgrade to the Axe Body Spray I’m trying :). Just click on the link that I have provided in this post, under the image.